Nationwide MNP to start from May 3, next is free roaming all over India? We have been listening a lot about MNP, but its not fully useful yet. But looks like we will get thje full freedom of MNP this May. India is a developing country and despite of being the largest democracy, it is divided in many forms, even in case of mobile networks. The networks are divided into 22 circles throughout the country and people need to face many problems while shifting to other states, which actually makes them change their phone numbers. In 2011, TRAI (Telecom Regulatory Authority of India) made rule that customers can change their carrier if they wish with the same number they have been using. But, that was quite useless as this was limited only upto state level and people shifting to different states were still being forced to change their phone number. But now, TRAI has finally issued a draft regulations to facilitate the landmark nationwide Mobile Number Portability (MNP) service, and this is expected to start from May 3rd, 2015. Earlier what was possible only within state now goes to national level, empowering users to retain their phone numbers. For instance, currently a user in Andhra Pradesh can retain his number while switching to another service provide in the same circle only and if he shifts to some other state, take it to be Maharastra, he has to opt for a new number altogether if migrated to other telecom circle. But with MNP he can retain the number that he had got in Andhra, even if he switches over to a operator in Maharastra. TRAI has now asked service providers to furnish their written comments on the Draft Telecommunication Mobile Number Portability by February 6. With this announcement, eyes are on another very controversial issue which is being under debate for the last few years: Nationwide Free Roaming. If you shift to some other state and opt for MNP, you are fine, but whenever you go for a trip or a long holiday and move out of your home circle, you will have to spend a lot for everything, from incoming calls to SMSes at very high rates. 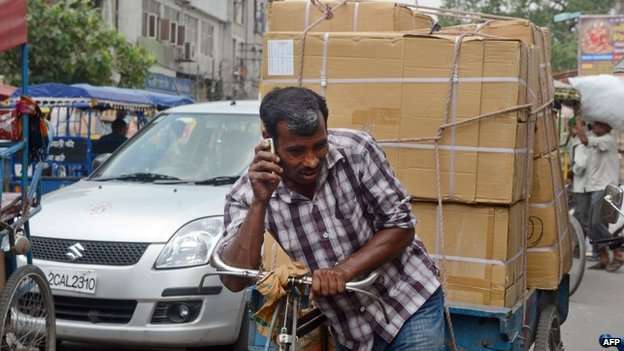 Though, in India, now some of the roaming plans have been introduced which let you enjoy calls at reduced rates while roaming, SMS is at same condition it used to be a few years ago and it is already dead. The only thing improved while roaming is data plan, which is not affected anyway under any circumstances and you can enjoy the same amount of data you use to enjoy in your home circle while roaming. But, there are some hopes of getting a roaming free experience in India. Though, the TRAI may also have an alternate plan. Now, you get all incoming calls free while at home circle, but when you roam you need to pay Rs. 1 (on most carriers), now we have plans to reduce that like Vodafone is offering 30p/min for incoming calls with Rs. 56 plan, it gets even reduced and incoming calls can be totally free if you opt for Rs. 73 plan (which I often use, while I’m roaming). There are a few more, the higher the amount, the only thing you get is outgoing calls at reduced rates, now TRAI may implement a rule for carriers to introduce a plan which will completely let you enjoy everything at home rates while you roam, from calls to SMS and of course internet. But, only time will tell what is going to happen next, but nationwide MNP is obviously a good move by TRAI, and this can be only successful when the carriers co-operate and some greedy companies like Airtel doesn’t issue a foolish statement like they did earlier to destroy net neutrality.